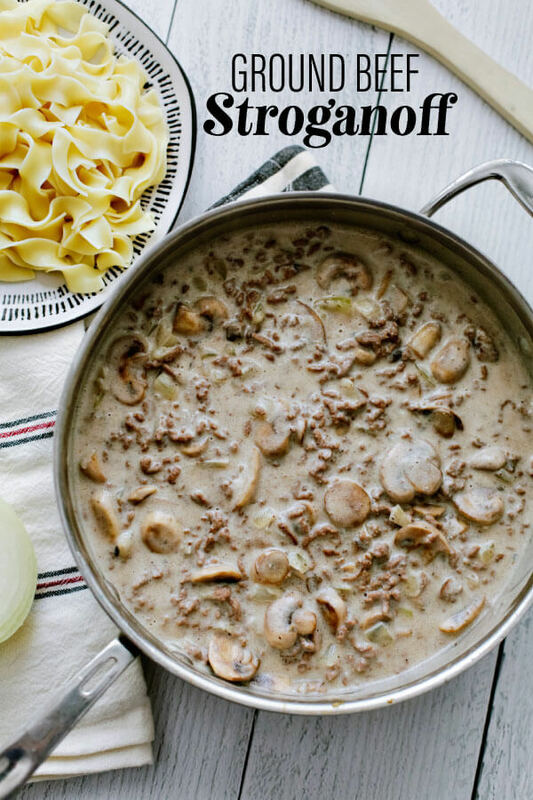 Ground Beef Stroganoff – a creamy, comfort food that everyone loves! Using just a few ingredients, this will become a staple in your home. Not a fan of mushrooms and/or onions? Then this recipe isn’t for you. But if you like them, you will love the quick and easy version that I grew up on. Only a few ingredients are needed and I typically stock them in my pantry and fridge to have on hand. 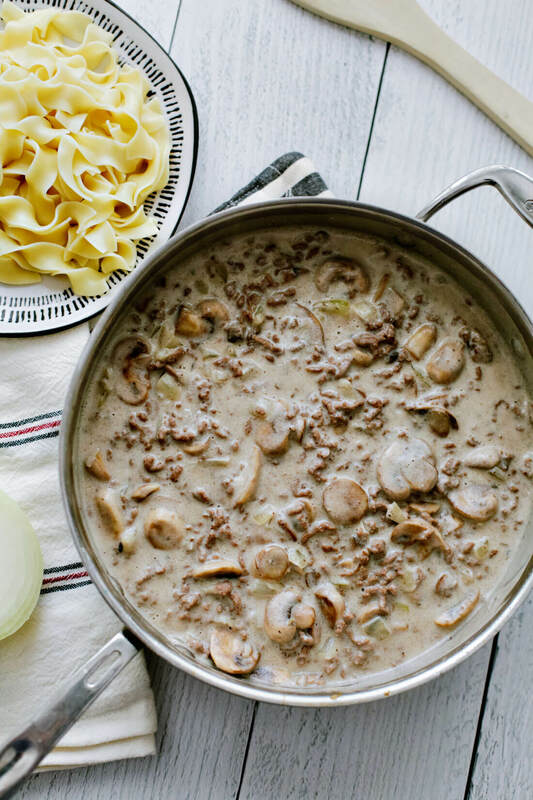 Originally from Russia (and the Stroganov family), this dish typically has sautéed pieces of beef and sauce with sour cream. 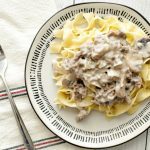 There are a lot of versions of beef stroganoff: slow cooker, made with beef sirloin, in the instant pot and more. All of them taste similar but just use a different method of cooking. For this version, you will use one pot and one pan. 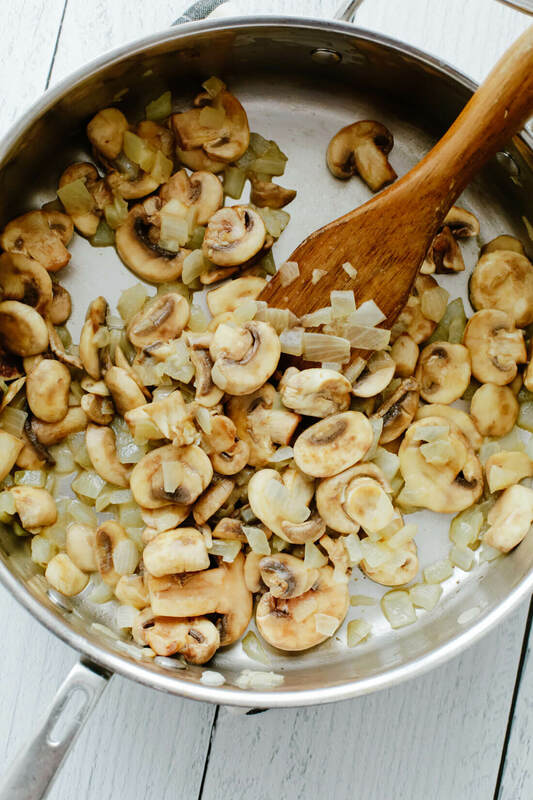 In the first step, you will melt butter then add mushrooms and onions to the melted butter. Warning: your house will smell amazing. Every single time I make this, someone says how good it smells at this step. 2. 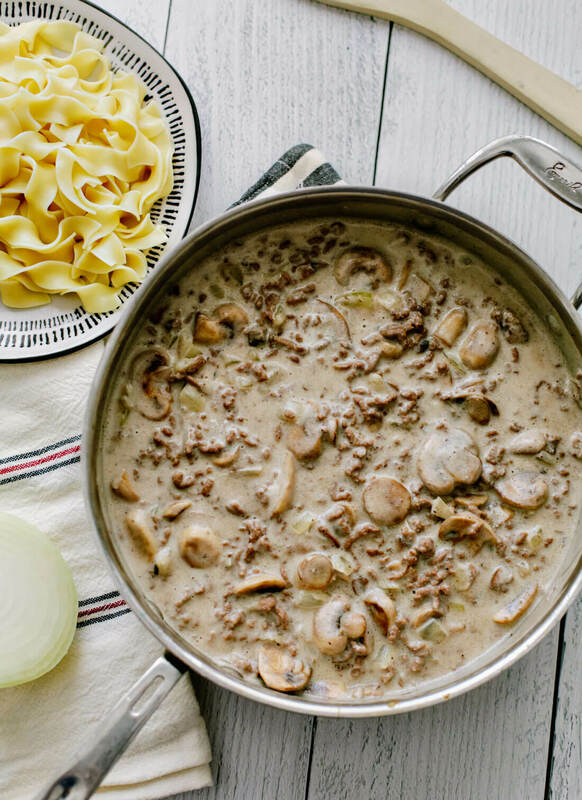 After the mushrooms and onions are softened, remove them from the pan and add ground beef. 3. Brown ground beef and add vegetables back in. 4. 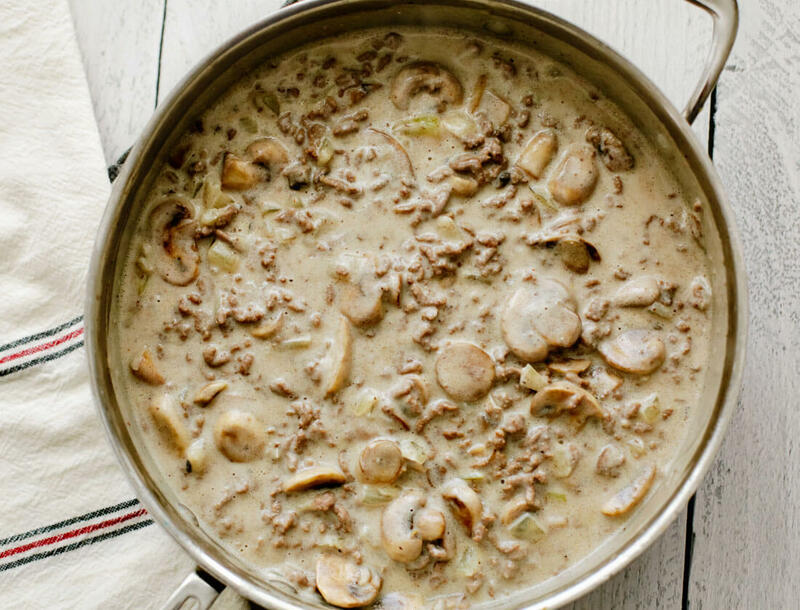 Stir in milk, cream of mushroom soup and spices. 5. Remove from the stove and stir in sour cream. 6. Serve over egg noodles or steamed rice. Both are filling and good, though I prefer noodles. See and print full recipe below. 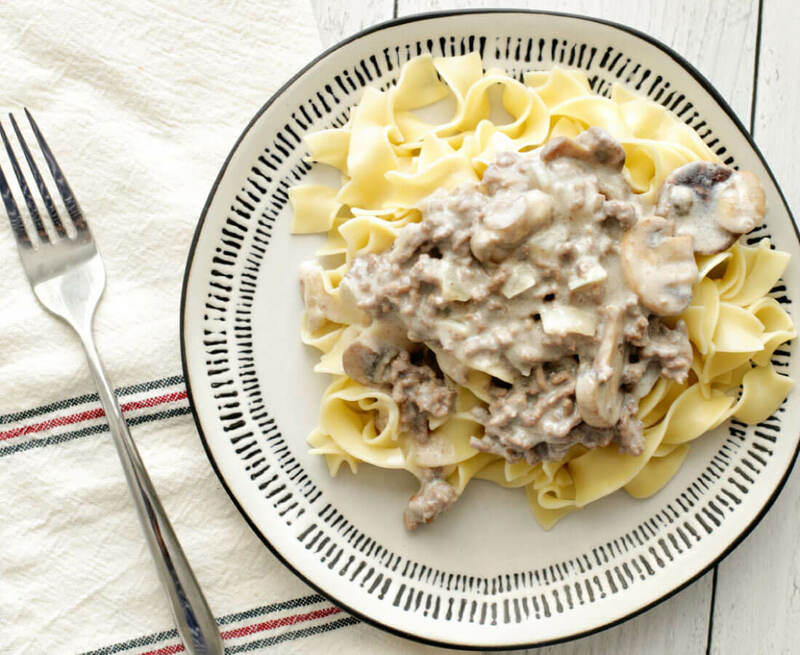 Ground Beef Stroganoff - a creamy, comfort food that everyone loves! 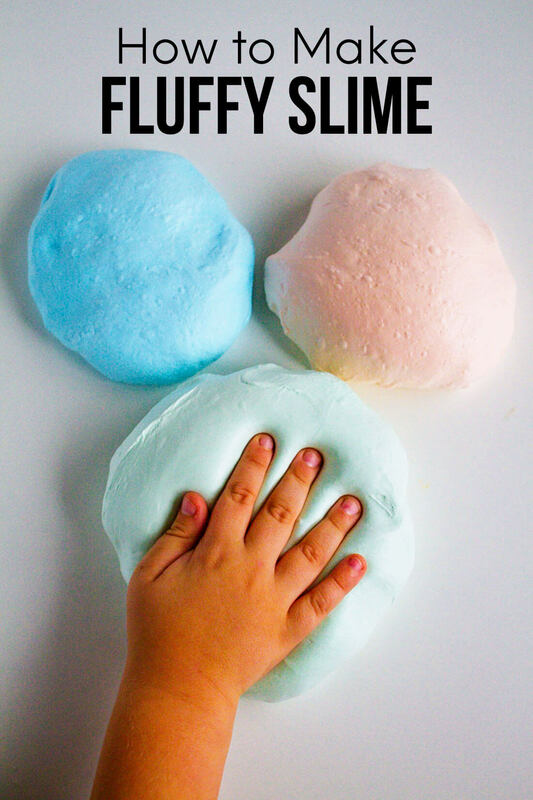 Using just a few ingredients, this will become a staple in your home. Melt butter over medium heat in pan. Heat through until softened (approximately 5-7 minutes), stirring often. Add ground beef to same pan and brown. Strain excess any fat from ground beef. Add mushrooms and onions back to pan. Stir in milk, paprika, pepper, and milk. Bring to a boil and stir before removing from heat. Stir in sour cream and mix well. Serve over cooked egg noodles. White rice can be used as well.